This is a collection of over fifty magical powder blends. These blends can be used to consecrate ritual tools, enhance spells, as barrier protections, or on yourself. Use them to ignite your love or financial life, promote peace and good health, or increase creativity. 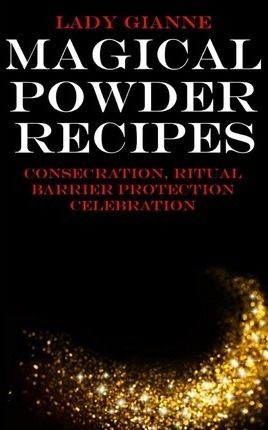 Powdered blend recipes focus on easily obtainable and inexpensive ingredients, opening this avenue of magic for everyone, with a focus on solo practitioners of Wicca or witchcraft.